Fill out the form with any questions or inquiries you have for the sales consultants at Miramonte. You can also call or chat with us for immediate responses. The dual level Lawson is built for family living, with its thoughtful combination of formal and informal spaces. A gourmet kitchen and formal dining room offer space to entertain and host large gatherings. An inviting great room fosters relaxation, before heading to the adjacent owner’s suite. The upstairs game room is perfect for family time or a fun retreat for kids and friends. Add an optional fifth bedroom or study depending on your family’s needs. Step inside Lawson to see the Life-Tested Home Designs® with more usable space where you want it most. So you live the way you want to live. 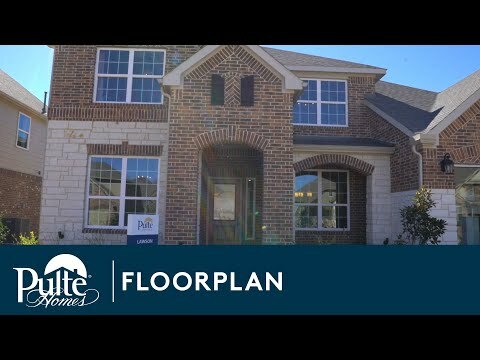 The Lawson welcomes you with a two-story foyer and grand staircase, and a stunning kitchen that opens up to a large great room. Enjoy family movie night in the media room. Turn the flex room into a study or fifth bedroom. The dual level Lawson is built for family living and is one of our most popular floor plans, featuring the thoughtful combination of formal and informal spaces. A gourmet kitchen and formal dining room offer space to entertain and host gatherings.